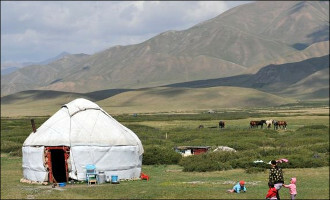 Central Asia is surely East - culturally or geographically. But, how much politically? 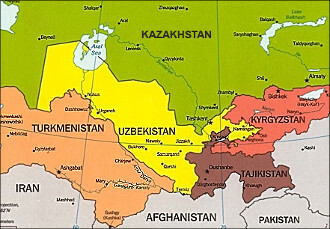 Legally speaking countries of the regions are not khanates or empires, but republics established by the Soviets. And, yes, being a part of communist Russia they used to be "East Europe". Newly sovereign leaders declared their adherence to international obligations, while despotism is still a dominating option of state ruling in the region. Probably, it is their totalitarian communist heritage that resists learning new tricks. 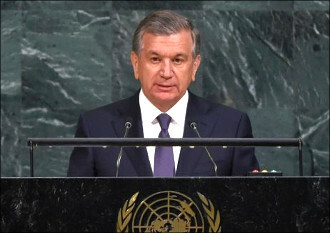 September visit of the President of Uzbekistan Shavkat Mirziyoyev to the United States intended to participate in the 72nd session of the UN General Assembly, actually accommodated many important events for official Tashkent, diplomatic, economic and humanitarian. 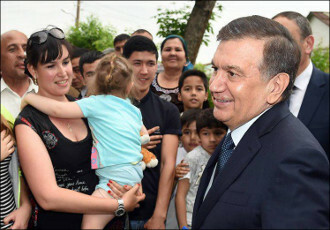 Somehow, this trip of the Uzbek leader over the ocean can be considered a landmark for the relations between the two countries, not only because the first president of the country, Islam Karimov had not been visiting the United States for about 15 years, but also because Mirziyoyev actually demonstrated that multi-vector foreign policy, about which his predecessor was endlessly telling but, in fact, usually following a single course changing it with enviable constancy. Exactly one year ago in Uzbekistan, a theatrical but rather false staging played under the title «Our president is alive and well». According to Fergana sources, the death of 78-year-old Islam Karimov from a stroke sustained two days earlier came on the day of 29 August 2016. Two days later, the official media assured that Karimov accepts congratulations on the Independence Day. However, it is not so important what day Karimov died on. The important thing is what is his legacy today in Uzbekistan. Finally, who is Islam Karimov? A great ruler or state criminal? A wise politician or an egoist ignoring someone else's opinion? A reformer or tyrant who strangled all the opportunities for economic growth of the country? This month of June brought us a contradictory timeline. Some governments are gaining a popular weight among ordinary citizens, while others are ignoring a wider opinion and a common sense. Any outsider can be lured by honeyed promises, finely drawn charts, glittering buildings from the future. Find optimists and ruin them with a reality. 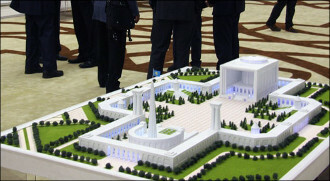 It has been exactly six months since the new head of Uzbekistan took office. Sadness from the death of the first and beloved leader of an independent country has not yet completely left the hearts of Uzbek people. But the expectations of a bright future under the tutelage of the new leader ease the burden of losing the old one. 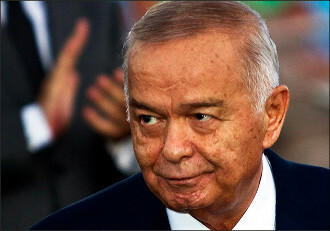 TV and in newspapers are saying only good things about Islam Karimov, while people, it happens, are swearing and cursing “the father of all Uzbeks” for the fall of the living standard, for stagnation and for the lawless tyranny of those who must monitor the enforcement of the law. This May brought remarkable events, which will develop during summer vacations and will define how autumn will develop further. Surely, these are activities around presidential elections in Kyrgyzstan clearing and modifying political and media space for the pro-presidential candidate, or Uzbekistan summing its attempts to revive the economy through investment and improving its foreign image. How would Kazakhstan reconsider its economic policy and change its attitude towards rule of law to outrun its main economic rival - Uzbekistan? Whether xenophobia in Russia will die out. How Tajikistan and Turkmenistan will cope with doubts of its public about anti-corruption campaigns in both countries? These questions were raised in May and I will outline them for you.